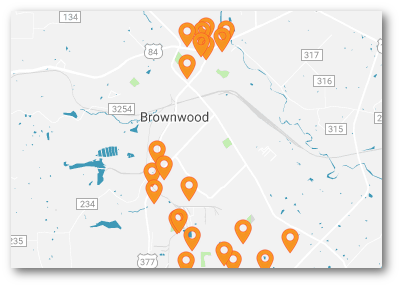 The Tarleton SBDC serves Brown County by providing at no cost confidential business consulting, research, innovative business plan development, marketing, training and access capital. Their consultants maintain the highest ethical standards of confidentiality with clients and consulting services are available at no charge. The Brownwood SBDC is located on the second floor of the Depot, at 600 E. Depot Street and is open Monday-Friday during the hours of 8 am to 5 pm to meet with startup or existing businesses. The SBDC is a resource partner of Federal Small Business Administration (SBA) and they have numerous state and federal relationships to assist a small business. The center is staffed by professionals with proven ability to promote growth, innovation, profitability, increased productivity and improved management of small business. The SBDC has over 30 years’ experience in developing successful entrepreneur. The US Government Accountability Office recently conducted an analysis of 52 economic development programs supporting entrepreneurship across the US and found that SBDC to be the best of all those programs. For more information contact Amy Wright at 325-646-7299.